There’s been a ton of bad news surrounding Apple ever since word of its weak 2018 iPhone sales came out. 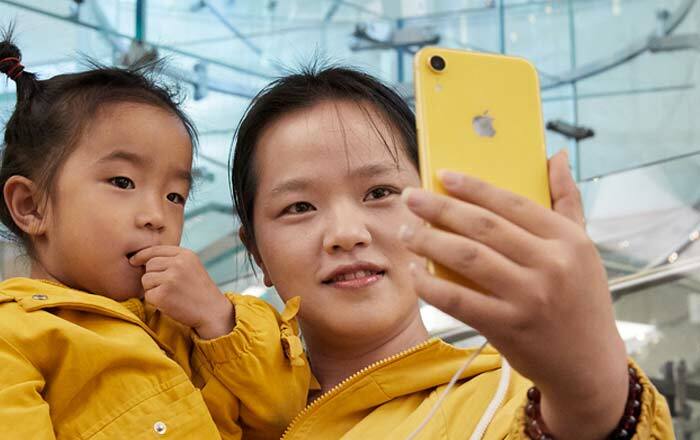 It got to the point where the company had to claim the iPhone XR is its best-selling iPhone to quell rumors; but no one’s buying that. As for proof, look no further than the brand itself. First, Apple allowed carriers in Japan to make the iPhone XR cheaper through subsidies. Now, the brand is promoting a similar deal in the US. Just go to the firm’s website and the first banner you’ll see is an ad telling you the iPhone XR is available at just $449, with an asterisk next to the amount. Apple rarely resorts to pointing out how cheap an iPhone is to its customers. In this case, you can buy the iPhone XR at $449 if you have an iPhone 7 Plus handy since it’s valued at $300 as part of a limited-period trade-in deal. The brand actually raised the value of many of its old iPhones recently. You can check out the complete list here. What this suggests is that Apple wants current iPhone customers to bite the bullet and make the switch to a newer device instead of sticking to their current one or upgrading to the iPhone 8. Perhaps if it had made the iPhone XR more affordable to begin with, it wouldn’t be facing this issue at all. Bloomberg (via ZDNet) reports that Apple had shifted some of its marketing staff back in October to concentrate on increasing sales of the 2018 iPhones. A person familiar with the situation described it as a “fire drill.” Meanwhile, its suppliers have been forced to fire staff and project lower profits because of a reduction in iPhone orders. The article also mentions that Apple will have to make even bigger and more permanent iPhone discounts if it wants to make headway in India. Sales in the subcontinent have fallen hard on the back of insanely high prices and compelling Android alternatives like the OnePlus 6T. Here’s hoping the firm is listening.